Little, Brown and Company, 9780316887922, 736pp. Gary Giddins wrote the Weather Bird jazz column in the Village Voice for over 30 years and later directed the Leon Levy Center for Biography at the CUNY Graduate Center. He received the National Nook Critics Circle Award, the Ralph J. Gleason Music Book Award, and the Bell Atlantic Award for Visions of Jazz: The First Century in 1998. His other books include Bing Crosby: A Pocketful of Dreams-The Early Years, 1930-1940, which won the Ralph J. Gleason Music Book Award and the ARSC Award for Excellence in Historical Sound Research; Weatherbird: Jazz at the Dawn of Its Second Century; Faces in the Crowd; Natural Selection; Warning Shadow; and biographies of Louis Armstrong and Charlie Parker. He has won six ASCAP-Deems Taylor Awards, a Guggenheim Fellowship, and a Peabody Award in Broadcasting. He lives in New York, NY. Someone has to make the case for Crosby's historical importance-and fortunately for Bing, Gary Giddins has taken up the gauntlet with surprising vehemence. Mr. Giddins is one of the leading music critics of the last half-century." "It's been almost 18 years since the publication of Bing Crosby: A Pocketful of Dreams, Gary Giddins's intelligent and formidably well-informed biography covering the entertainer's life from his birth in 1903 through the film that launched his mega-grossing partnership with Bob Hope. 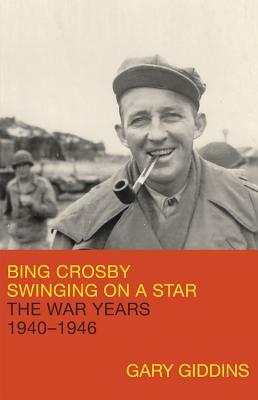 Bing Crosby: Swinging on a Star was the worth the wait. [An] evocative portrait of a man and a historical moment." "A deeply researched and thoroughly engrossing biography that confirms Crosby's essential role in the history of American music and film during a crucial period of the 20th century....Impressively maintains a balanced view of Crosby's complex character: an affable, hardworking performer admired by his peers and audience but also a man with values and ideas representative of his generation and piously Catholic upbringing. Ultimately, the author establishes Crosby's relevancy as an indisputable talent worth fair consideration from future generations. "Expectation was that Giddins would shape a companion volume covering the rest of Crosby's life. Instead, part two of what will ultimately stand as the definitive Crosby analysis and appreciation covers just seven years. As Giddins so superbly demonstrates, more than any other period, the stretch from the early- to mid-1940s was not only Crosby's most influential but also served to shape a canonized public persona that lasted his lifetime. Everyone thought they knew him. Few really did. As Dinah Shore observed, 'Bing was great [but] he wouldn't let you see that deeply into his soul.' Giddins may be the first to penetrate soul-deep."